Area 51, also officially known as Groom Lake or Homey Airport (ICAO: KXTA) is a remote detachment of Edwards Air Force Base. 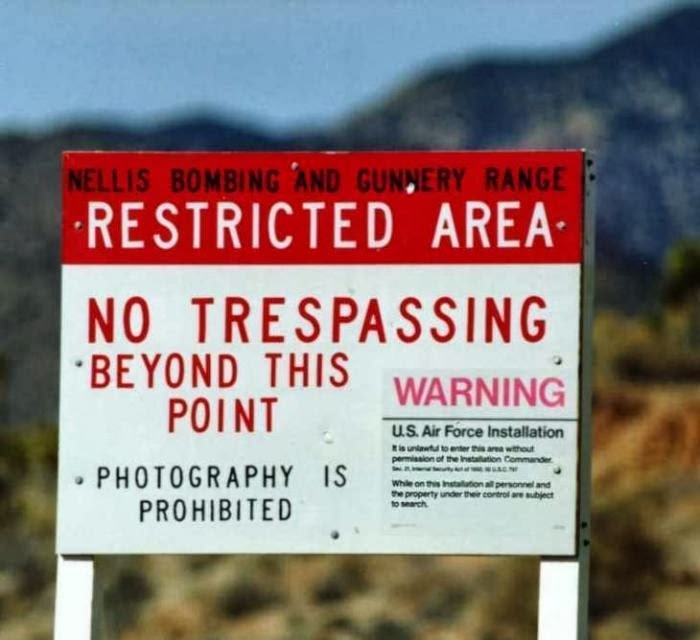 According to the Central Intelligence Agency (CIA), the correct names for the Area 51 facility are the Nevada Test and Training Range and Groom Lake, though the name Area 51 has been used in official CIA documentation. Other names used for the facility include Dreamland, Paradise Ranch, Home Base, Watertown Strip, and most recently Homey Airport. The area around the field is referred to as (R-4808N). It is located in the southern portion of Nevada in the western United States, 83 miles (133 km) north-northwest of Las Vegas. Situated at its center, on the southern shore of Groom Lake, is a large military airfield. The base's current primary purpose is officially undetermined; however, based on historical evidence, it most likely supports development and testing of experimental aircraft and weapons systems. The intense secrecy surrounding the base has made it the frequent subject of conspiracy theories and a central component to unidentified flying object (UFO) folklore. Although the base has never been declared a secret base, all research and occurrings in Area 51 are Top Secret/Sensitive Compartmented Information (TS/SCI). In July 2013, following a FOIA request filed in 2005, the Central Intelligence Agency publicly acknowledged the existence of the base for the first time by declassifying documents detailing the history and purpose of Area 51. Pm ko pun minat ufo. Ketua penipu tu kalau dia faham ufo tak minat dia nak jadi pm. ufo kata war banyak hutang sebab tu jadi macamtu dulu dia zalimi rakyatnya. Malas nak cita nanti ko kata merepekla.